Today’s task is an upgrade of the system that we’ve been using to edit the videos of our YouTube channel for the past two years. 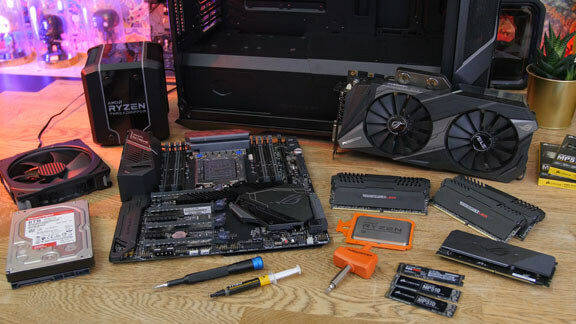 The system has a couple of years behind now, and even though it consists of some much capable hardware, there’s certainly some performance to be gained with an upgrade. Optimized performance equals time saved, when it comes to video editing. Watch our build vlog on our YouTube channel for a full walkthrough. Our current system is based on Intel’s X99 platform, and is built on top of an ASUS ROG Rampage V Edition 10 motherboard with an i7-6800K CPU. As such, we are dealing with 6 cores and 12 threads with a max turbo clock of 3.6 to 3.8 GHz. This is paired up with 64 GB Corsair Vengeance LED DDR4 RAM running at 3200 MHz. The operating system is installed on a 256 GB Samsung 950 Pro M.2 NVMe SSD, which is further accompanied by two 120 GB SATA SSDs for projects in the making. In terms of graphics card, we have an EVGA GTX 1070 Ti For The Win Ultra Silent, which is, along with all the other components, housed in a Corsair Obsidian 500D case. So, essentially, our current video editing setup is, prior to the upgrade, a quite decent system, however, there is room for improvement, and the replacement parts should bump up the performance in general use for sure. In terms of pure rendering time, we are not necessarily expecting the largest of performance gains, but in general use, we do expect to see an improvement. Let’s have a look at the new hardware that we’ll be throwing into this beast. 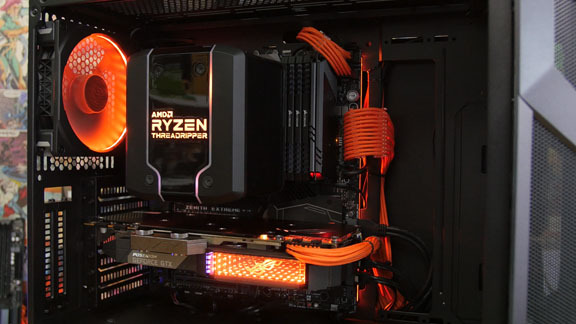 The system will be based around the AMD Threadripper 2950X, which comprises a massive 16 cores and 32 threads, and a max boost clock of 4.4 GHz. In that regard, this is a clear improvement on the aging 6800K from Intel. 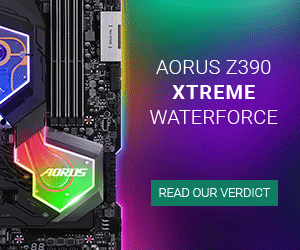 In regard to the motherboard, we continue along the path laid out by the former system in that the new one will feature an ASUS ROG Zenith Extreme. It’s one of the top cards from ASUS’s X399 series, and it gives us a number of neat and welcome upgrades. There’s a bunch of high speed USB connections for external drives that we use a lot, and on top of that, a front-facing USB 3.1 Gen 2 Type C.
Additionally, there are good possibilities of installing super fast M.2 NVMe SSDs, both on the motherboard itself, but also via the DIMM.2 alternative that this motherboard brings to the table. This is something that we will make use of when upgrading the system. For the operating system, we are moving over the existing Samsung 950 Pro SSD. The internal status of the disk is still fine, and as such, it will serve its purpose just fine in the time to come. In addition, two Corsair MP510 M.2 NVMe SSDs of each 960 GB will join the rig, leaving us with an abundance of storage capability for current projects. 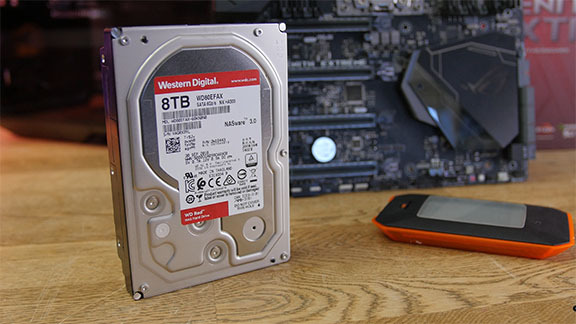 For storage of recent projects that require easy access we add an 8 TB Westen Digital RED SATA HDD to the system. So, all in all, in terms of storage, the new build is a massive upgrade. 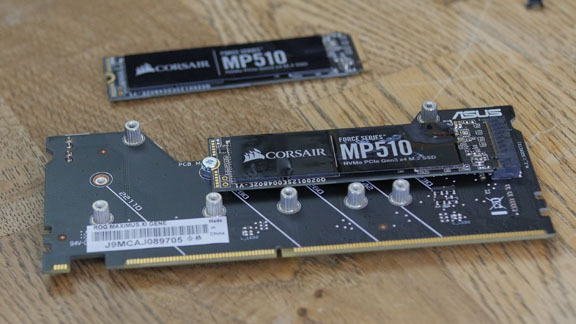 To begin with, we will be repurposing the Corsair Vengeance LED RAM from the old system. 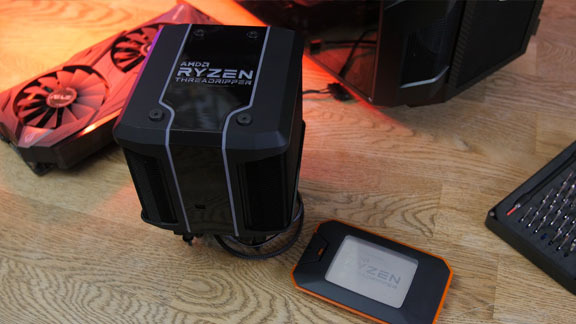 We do this to find out how well they will perform in conjunction with the Threadripper. If the performance proves suboptimal, we might, in the near future, replace them with some G.Skill Flare X RAM that should perform perfectly well with Ryzen and the Threadripper. The graphics card is also seeing an upgrade, as it will be replaced with an ASUS ROG GTX 1080 Ti Poseidon. It offers the option of both air and water cooling, but to begin with, we will rely solely on air cooling. 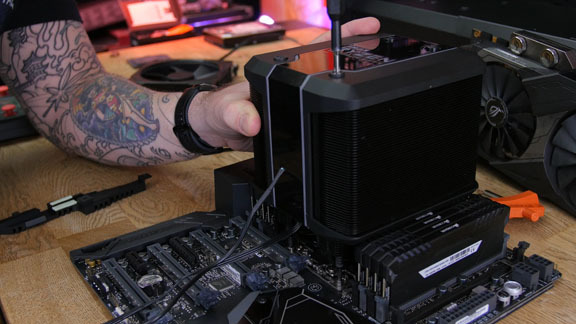 The cooler that will be taking care of the CPU is a Cooler Master Wraith Ripper, which is made, especially for the Threadripper, and in collaboration with AMD. This is a massive air cooler, with a sleek design which we can’t wait to fit in and try on. 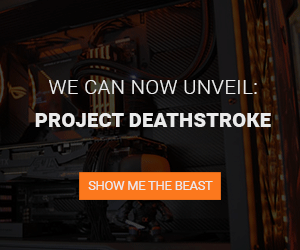 Finally, the whole system will be built in a Cooler Master MasterCase H500M case, featuring two 200 mm fans in the front that will provide the CPU and graphics card with plenty of cool air, and hopefully doing so in a quiet fashion. The jump from 6 cores and 12 threads to 16 cores and 32 threads can easily be felt. We now also have more than 10 TB of storage. Of these, roughly 2.2 TB is lightning fast M.2 NVMe, 240 GB is SATA SSD, and finally, 8 TB is mechanical SATA storage. So, hopefully, it should be quite a while before we run into limitations in storage capacity. 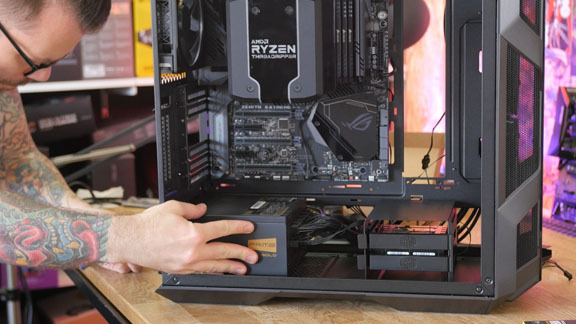 We of course gave the new AMD Threadripper Workstation Build a whirl in order to explore exactly what it can dish out in terms of performance. 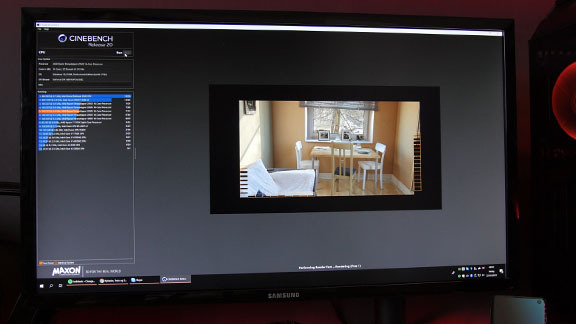 Before disassembling the old system, we ran it through the Cinebench R20 benchmark, and here, it scored 2380 points. However, and not to our surprise, the new Threadripper system surpassed it greatly with a score of 6766 points. Clearly, an improvement. In order to run a real world comparison, we also did a test in Adobe Premiere Pro, which is our preferred video editing software. 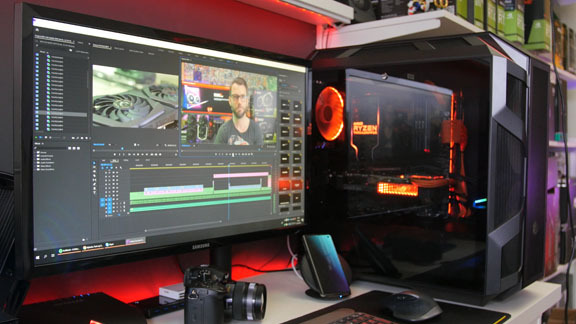 We exported the review of the MSI GTX 1660 Ti card in Premiere’s own YouTube 4K preset, and it took 23 minutes and 30 seconds. On the Threadripper system, this number was reduced to a clean 15 minutes. So, more than a 36% improvement, which is quite better than what we had expected. Even at stock settings, the new system has provided us with a significant performance boost, but it doesn’t end there. 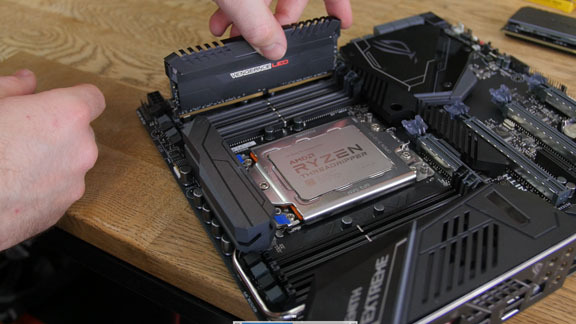 We went ahead and overclocked the Threadripper system in an attempt to push out even more performance. Both in terms of tuning the RAM as well as overclocking the CPU. Here, we landed on a stable overclock of 3.8 GHz on all cores at 1.225V and a RAM speed of 2800 MHz. The system should be able to dish out even more performance, but given that its role is critical in terms of our production setup, we decided on a relatively timid overclock in order to ensure maximum stability. With these adjustments, we achieved a score of 7268 in Cinebench R20. So, a quite significant performance boost. The export of the GTX 1660 Ti video project, with the overclocked system, gave us a rendering time of just under 13 minutes. Not a huge jump, but still an improvement of nearly 14% by simply overclocking the system. Compared to the old system, this is an overall improvement of nearly 45%, and we are, to no one’s surprise, very pleased with that! The system spiked at a max temperature of 69 °C during full load, but averaged at around 59 °C under load. The Wraith Ripper cooler from Cooler Master performs extremely well, and is more than capable of cooling the Threadripper 2950X CPU, even under load. It has most certainly been a worthwhile upgrade! The performance boost is plentiful, and there is no doubt that the new system will be a pleasure to work with on future projects. Remember to follow our YouTube channel, where we will be postings lots of hardware and tech videos in the future.